On May 2nd, 2016, Tottenham and Chelsea FC tied 2-2 at Stamford Bridge. When the final whistle blew at the end of the match, one of the most remarkable feats in the English football, or sports as a whole, was accomplished. Leicester City had clinched the Premier League title. The small club from central England beat the 5,000-1 odds of winning the title, just two years after being promoted to the EPL and a year after fighting off relegation. No club or team in the history of sports had ever pulled off such an incredible feat. 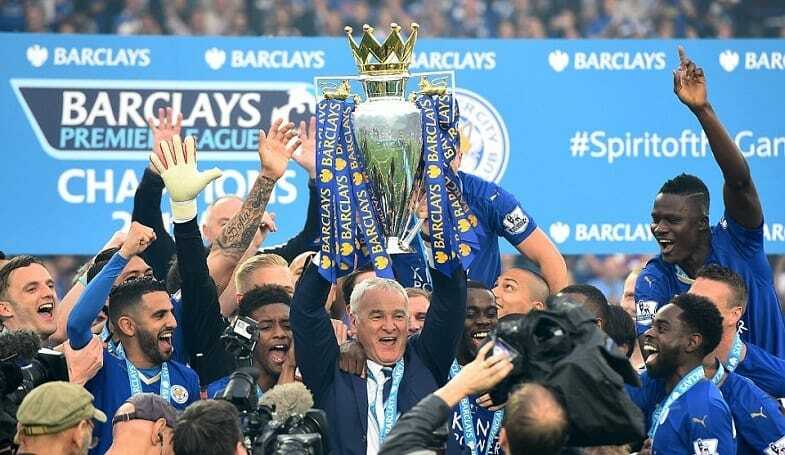 Leicester City climbed from third division soccer in 2009, all the way to the top of one of the best leagues in the world. Cinderella stories like this wouldn’t be possible without the promotion and relegation (P&R) system. 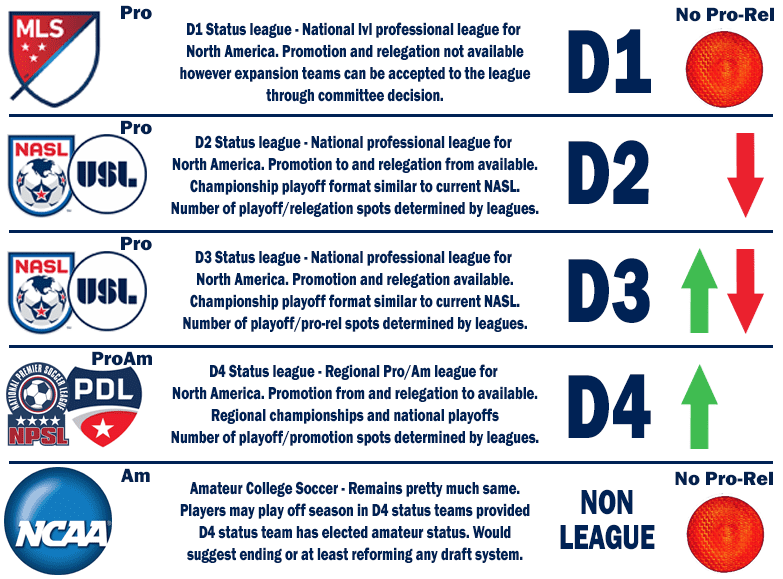 Now let’s face it, promotion and relegation in the U.S. will never actually happen, but it is definitely a topic worth discussing. Moving to the P&R system would benefit both clubs and U.S. Soccer as well, as Klinsmann argued. Increased competition at different levels means greater experience and better development for players and more ambitious owners. Example of how P&R could look in the U.S. But soccer in America is not prepared to switch systems just yet, or maybe ever. MLS Commissioner Don Garber has said in the past that the league doesn’t need promotions and relegations to become a “proper league,” and said a change wouldn’t happen any time soon. Still, most fans want to see the switch to P&R happen. According to a Deloitte poll, if promotion and relegation were introduced, fans would be eight times more likely to watch the men’s national team, six times more likely to attend a game, seven times more likely to watch a club on TV, and two times more likely to purchase season tickets. Overall, 88 percent of the fans polled said they believe P&R would benefit American soccer. Can P&R be translated to other sports? I’m well aware that this part may be met with some negative reactions, and I know it will never happen. The NBA is a well established league, with large fan bases and loads of money. But as a fan of the game, I believe some aspects of promotion and relegation can improve the league. Let’s start with tanking. The concept of tanking is brutal and, for a lack of a better term, frustrating. 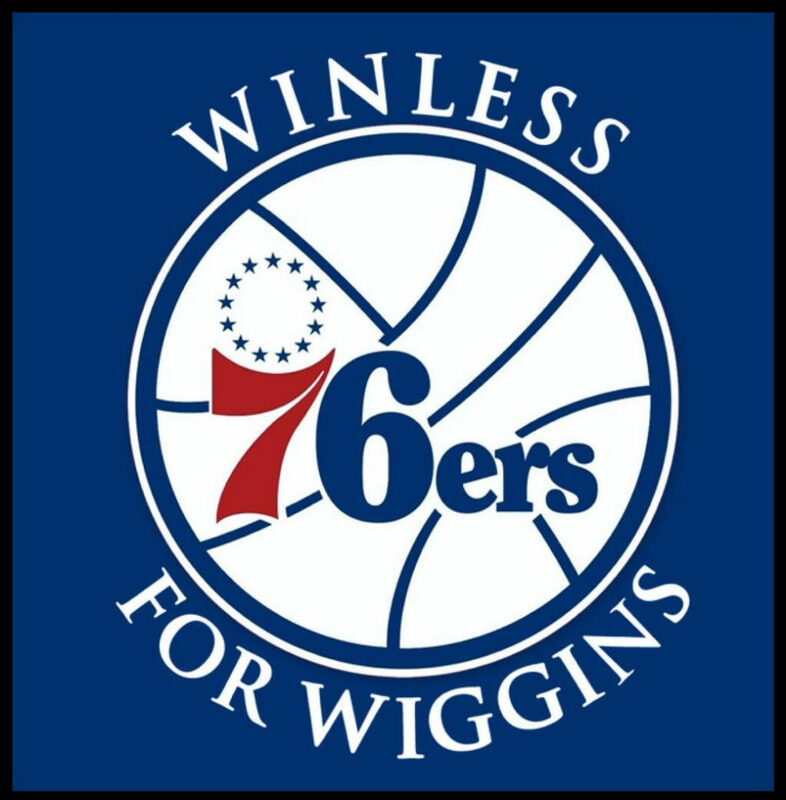 There is no joy in watching a team lose purposely in order to get a better draft pick, and it ruins the last few weeks of the season. If P&R were introduced it would mean the teams have to fight until the very end to stay relevant. No more mediocre games in hopes of a better future. Of course, it would mean the draft systems would have to be changed or, more likely, eliminated altogether. As for players, it would mean a much larger number of athletes playing the game, and more athletes kept in the United States. There would be no need for players we watched at the college level to go overseas, as they would have the opportunity to work their way up with a team or to improve while still playing professionally. At present, with the NBA’s eligibility rules including at least one year at the college level, the pyramid system would not affect the NCAA. There are also the same arguments you can make for promotion and relegation in soccer: it could increase motivation, viewership and attendance for games that would normally be ignored at the end of the season. Rome wasn’t built in a day, and a change like this in the NBA couldn’t happen overnight. But just imagine how much more competitive the league can be and how much good basketball we’re missing out on.